This volume brings together a number of experts who explore conceptual and policy challenges, as well as empirical realities, associated with gender and migration in highly mediated societies. The need to more systematically address the gendered experience of migration, especially in relation to political and cultural representation, is in the core of the discussions that unfold in this book. The book's chapters address a number of critical questions in relation to the representation of women as members of communities and as outsiders in culturally diverse societies. In doing so, the collection pays particular attention to the sphere of media and communications. Mediated communication has become crucially important in the construction of meanings of identity and citizenship, while the media have taken centre stage in framing debates on migration, border control and gender representations in culturally diverse societies. 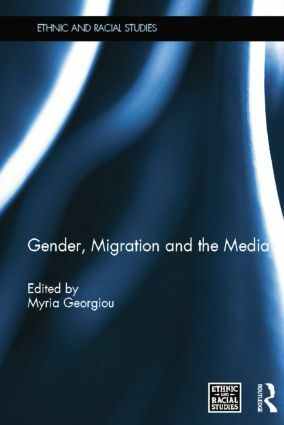 Gender, Migration and the Media presents a cross-cultural and interdisciplinary understanding of the practices and the consequences of mediated communication for identity and citizenship. Myria Georgiou teaches in the Department of Media and Communications at the London School of Economics (LSE), UK. Her research focuses on questions of identity construction within mediated urban and transnational spaces. Previous publications include Transnational Lives and the Media: Reimagining Diasporas (2007) and Diaspora, Identity and the Media: Diasporic Transnationalism and Mediated Spatialities (2006).